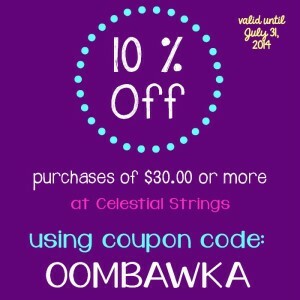 You are here: Home / Crochet Other / Affiliate Posts / Sale / Celestial Strings Special Offer! Yarn Coupon! 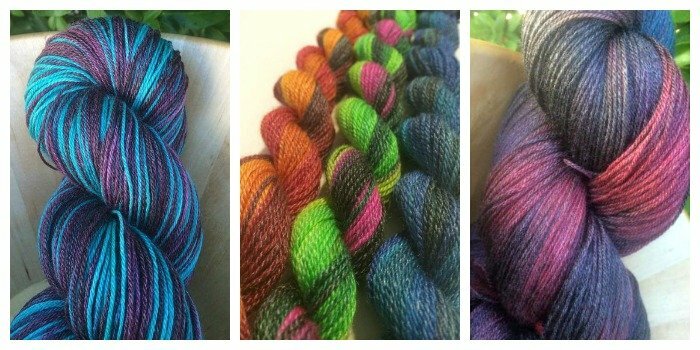 I recently had the opportunity to purchase some yummy yarn from Celestial Strings on Etsy. The yarn I received is very soft and the colour is lovely – I will share my planned project with you at a later date – it’s a suprise! Or maybe you would like to request a custom order? Celestial Strings also offers a ball winding service – so you may want to take advantage of this at the time of purchase! Lots to choose from and if you order $30.00, or more you can use this handy little coupon to get 10% off the price! But hurry!! Offer ends July 31, 2014! Here is your Yarn Coupon!